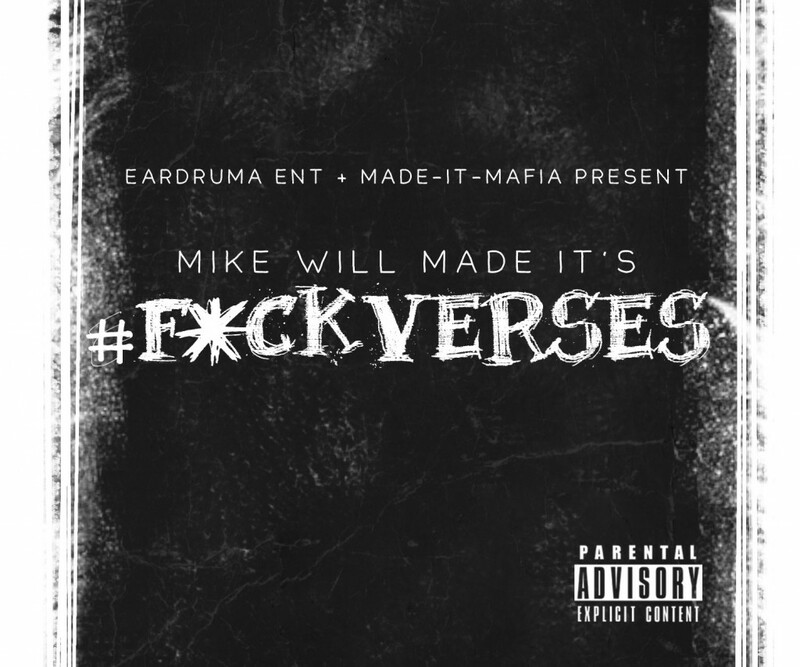 Super producer Mike WiLL Made It will release his first instrumental project, an EP titled #FuckVerses. The project, which doesn't yet have a release date but is expected this summer, will be released via Mike WiLL's label, EarDrumer's Entertainment. The artwork for #FuckVerses was designed by Kreemo. At only 24 years of age, Mike WiLL Made It has solidified his place as one of music's most talented producers. Over the past 12 months, Mike WiLL has supplied hits for some of music's biggest names, including Kanye West, Rihanna, 2 Chainz, Future, Kelly Rowland, and more. Overall, Mike WiLL has produced 13 Billboard-charting singles; 9 of those singles have been certified gold or platinum by the RIAA. Despite that success, Mike WiLL continues to develop his sound, having recently confirmed work with Miley Cyrus, Mariah Carey, and more. Throughout his career, Mike WiLL has always placed an emphasis on giving fans new and original music, first through his Est. In 1989 mixtape series, and now with #FuckVerses, an instrumental-driven EP that shows WiLL continuing to push boundaries. "When I was growing up, all the producers that were big at the time, I used to like hearing their instrumentals," says WiLL, explaining his inspiration for the EP. "With the Est. In 1989 series, and now with #FuckVerses, I wanted to show people the growth; from rap, to now R&B and Pop and Rock, my sound is so diverse, and these projects allow me to give my fans music and show off my growth at the same time." The EP will feature no verses, though Mike WiLL promises some high profile artists will be featured on various hooks throughout the project. Overall, #FuckVerses, which Mike WiLL refers to as "My version of Jazz," will be more open and free-flowing than the structured tracks that Mike WiLL produces for other artists. "When I was growing up, my father would always make me listen to Jazz," says Mike, further explaining the comparison. "With some songs in Jazz, the track might just be instrumental, or, after a few minutes, an artist might start suddenly singing- it was just open that way, and that's how this project will be for me." Mike WiLL Made It has plans to tour behind the project, and he's excited about the various ways that fans will be able to connect with this music, now and in the future. "With #FuckVerses, I feel like with music, the first thing that catches people is the hook and the beat," says Mike. "Later on, you'll hear full songs on some of these beats, and with some of these hooks – we'll take it to another level. But right now, this is for the listeners that are fans of good production and new sounds. It's a new genre of music, and it's called Eardruma." Please contact Michelle or Dan if interested in talking with Mike WiLL Made-It. Mike WiLL Made-It has spent 2012 tearing up the streets and the charts, alike, producing three Billboard number one singles - 2 Chainz' "No Lie" Ft. Drake; Juicy J's "Bandz A Make Her Dance" Ft. Lil Wayne & 2 Chainz; Future's "Turn On The Lights" - co-producing on a fourth - Kanye West's "Mercy" Ft. Big Sean, Pusha T, and 2 Chainz - and, elsewhere, producing for the likes of Rihanna, Chief Keef, French Montana, Brandy, Gucci Mane, Kelly Rowland, and more. Now, after releasing Est. In 1989 Pt. 2.5, the third installment of his Est. In 1989 mixtape series in featuring contributions from Gucci Mane, Future, Rihanna, Kelly Rowland, Brandy, Juicy J, Big Sean, B.o.B., French Montana, Young Jeezy, Trinidad Jame$, Chief Keef, Lil' Wayne, Rick Ross, TI, and more, Mike WiLL is now releasing a new project called #FuckVerses.